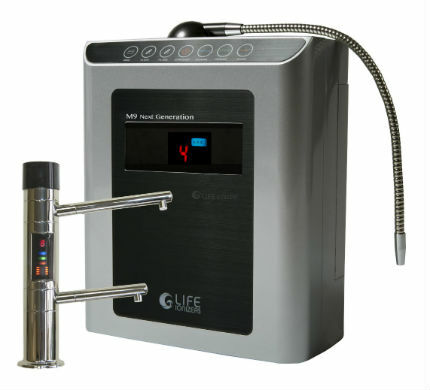 With the new LIFE M9 Next Generation Under Counter ionizer (also called M9UC) you have the choice of installing it as a countertop or under counter water ionizer. This is a really nice option which comes standard with the LIFE M9UC. We are not aware of any other under counter ionizer that offers this. Either way you install it, the M9UC is beautiful to look at, but looks are not the only thing you will find appealing about the NEW LIFE M9 UC 2013 9 Plate Model! More important, the M9UC Next Generation is way more powerful than LIFE's previous 9 plate model the Life 9200. It is equipped with a sophisticated MAX yield SMPS power supply which can send up to 500 watts of power to the 9 MAX plates on board. They are called MAX plates because the 9 titanium have a thick quoting of platinum. In addition to all of this the M9 offers LIFETime warranty on both parts and labor. 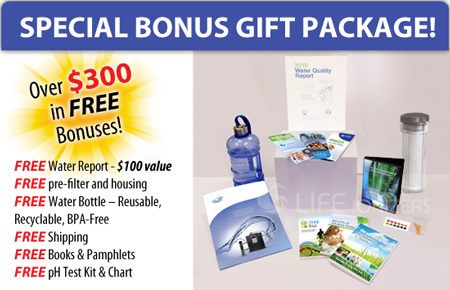 Also, like the Life 9200, the M9UC comes with dual internal filters, free water report, custom pre-filter and an ultra efficient electrolysis chambers combine to give the M-9 high-end performance yet still cost less than the $4,000.00 Enagic Leveluk SD501. You just can't ask for more than that. 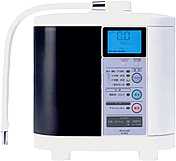 Why buy the M9 Next Generation Under counter water ionizer? Health and Ego. Health because you want to drink the most effective and powerful alkaline potent antioxidant potential and you don't mind paying a little more for this added capability. 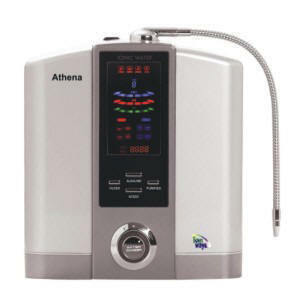 Life ionizer is also the only major water ionizer brand that offers options such as UV light for bacteria reduction, and Energy Frequency Technology. Learn more about these options below. Ego because you are certain to impress your friends. 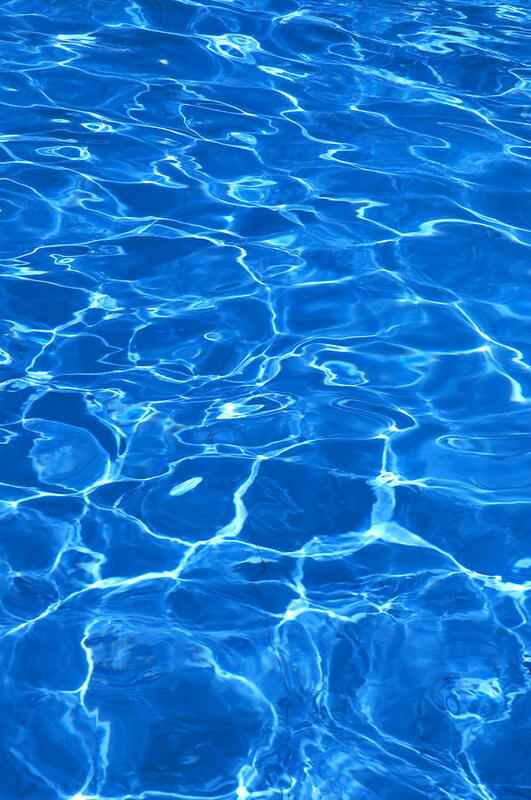 You will be tempted to lure them into your kitchen so they will see the faucet and you will find a reason to make some alkaline water. You just can't pay for moments like that. Special feature Adjusts up to 500 Watts of power! • Max Yield SMPS power supply provides more power, greater efficiency, and ultimate durability. That's why the LIFE M9UC comes with a lifetime guarantee on parts and 10 years on labor! • 9 Max Plates: These are ultra-platinum coated titanium electrodes, along with the high powered SMPS power system and MESH plates deliver more power per square inch than any other electrode on the market. The Max plates found in the LIFE M9 has more Platinum! .75 micron thick coating of platinum, the thickest coating in the industry, means Life Ionizers last longer and allows us to provide a lifetime warranty! 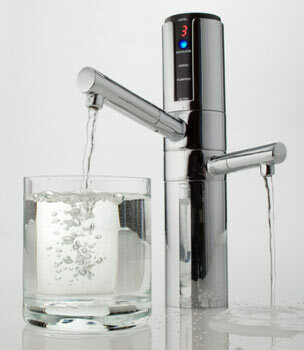 • Fully Convertible: The LIFE Next Generation M9 can be converted to being an under-the-counter ionizer with the purchase of our attractive real stainless steel faucet system - a high grade stainless steel faucet which compares to most other companies which use fake "stainless steel" that is actually a plastic coating. To get the best ionization performance, you need the right combination of power, electrodes, and technology. LIFE Ionizers M9UC packs a lot of power, and offers you the choice of flat electrodes or optional MESH, which can increase the pH and ORP performance of an ionizer by up to 15%.